Over the course of 2017 QEE hasn’t only expanded into the new markets but also increased it’s capabilities and now provides services to the more challenging resort complexes. Working with the resorts is a big step forward and an exciting challenge for our team of energy efficiency engineers. 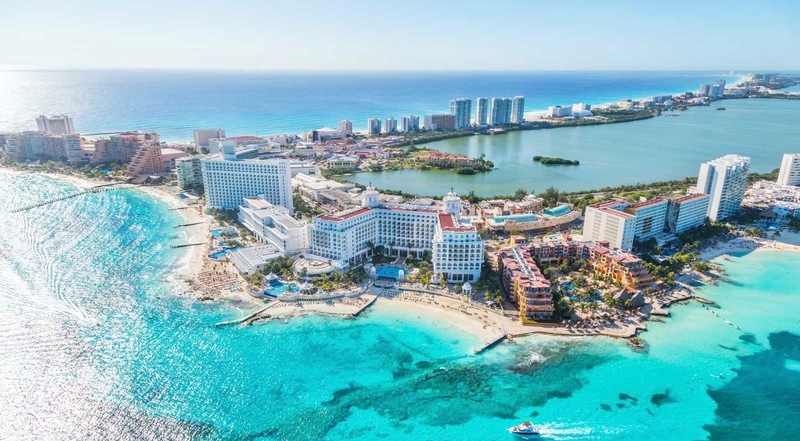 QEE has acquired a vast experience from its original focus on urban hotels, which the team can now bring to bare on the more complex challenges of the larger resort properties. However, while the resorts can offer a greater challenge to the team, due to the scale of these resorts the benefits for the clients can also be even greater as QEE still apply the same knowledge, experience and deliver the same maximum utility reductions from the program: so lowering operating costs without any required investment. Quimera Energy Efficiency has launched collaborations with luxurious Resort properties: Hotel Riu Palace Meloneras, Iberostar Bouganville, Iberostar Las Dalias, Ritz Carlton Abama in Canary islands, Club Med Guilin in China, Rixos the Palm Dubai in United Arab Emirates, and Grand Hyatt Playa del Carmen in Mexico. QEE’s partnerships and trust of the leading global hotel brands in QEEs work to deliver results, motivates our team achieve the highest results and so become the leaders in energy efficiency on a global scale. To date Quimera provides energy efficiency programs by applying its unprecedented expertise and innovative solutions to optimise the hotel sectors´ energy usage by delivering a leading-edge approach to energy efficiency driven by artificial intelligence. QEE will continue its expansion by working with existing clients, adding new partnerships and growing it’s investment in the cutting edge technology and expertise needed to strengthen its presence around the globe. In this manner QEE can deploy it’s unprecedented expertise and innovative solutions to optimise the hotel industry’s energy usage, to reduce its cost base and deliver a reduction in global emmissions. RIU Hotels & Resorts is a deluxe hotel chain focused on the holiday hotel sector with around 100 hotels located in 19 countries. More than 60 years of experience taking care of their clients in the best destinations of the world endorse the main objective of the company: the welfare of the guests. The Ritz-Carlton is a luxury hotel chain, headquartered in the United States. With more than 100 years of history, countless rewards and experience The Ritz-Carlton offers 130 hotels and unforgettable travel experience in the world’s top destinations. Iberostar Hotels & Resorts is a leading hotel chain for holiday hotels, located in the main tourist destinations in Spain, United States, the Mediterranean and the Caribbean. With more than 100 hotels, Iberostar offers hotels and resorts where guests can enjoy endless sensations.